A navy bomber jacket and HUGO BOSS cotton sweatshirt jogging pants from LUISAVIAROMA are a nice outfit for your kid to wear when you go on walks. Blue sneakers are a great choice to complement this outfit. 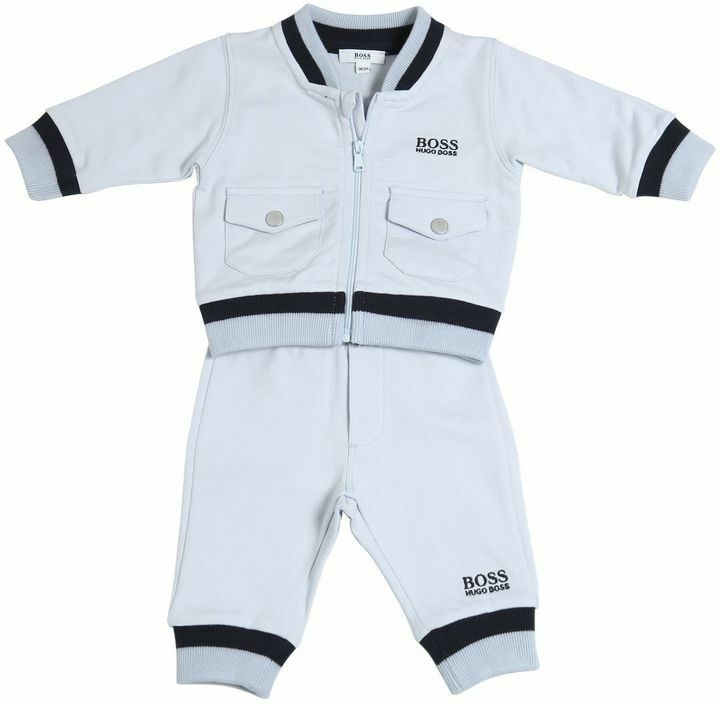 Suggest that your little guy dress in a white long sleeve t-shirt and HUGO BOSS cotton sweatshirt jogging pants from LUISAVIAROMA for a comfy outfit. 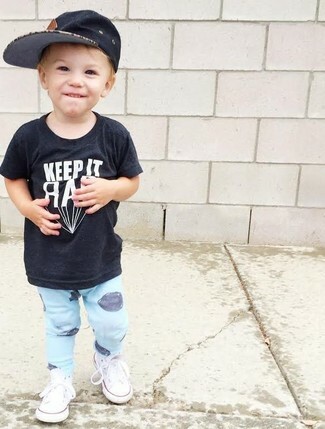 As far as footwear is concerned, suggest that your little man rock a pair of blue sneakers. Go for a black t-shirt and HUGO BOSS cotton sweatshirt jogging pants from LUISAVIAROMA for your little angel for a comfy outfit. This outfit is complemented well with white sneakers.